A buyer’s inspection is a pre- or post purchase inspection that createa a punch list of needed repairs and the relevant urgency of each. Before a home buyer has a home inspection, it’s important to know what the home inspection is all about. A home buyer hires a home inspector to learn about the home, and the inspection report is the document that the buyer is left with, detailing the results of the inspection. The inspection report is not a repair list for the seller, nor is it a stick to beat the seller with on price. Most home inspection reports will have a large list of recommendations, typically for improvements, repairs, and safety upgrades. This is normal for a used house. 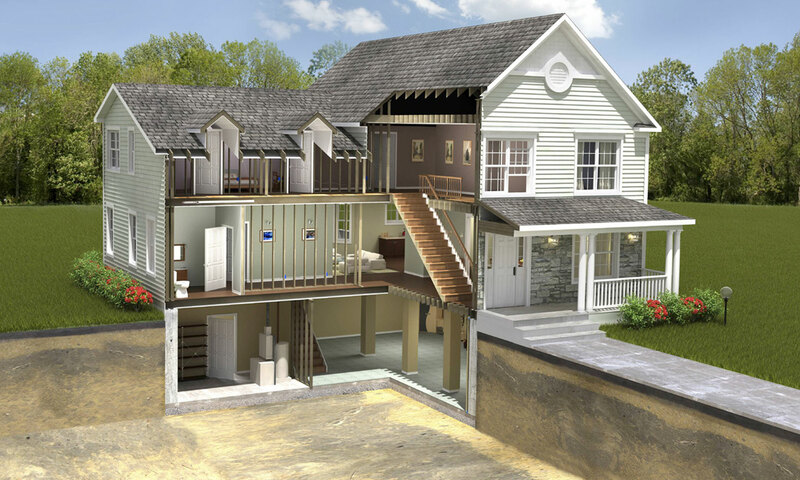 We inspect each home completely – checking for foundation, mechanical, roof, structural (and many other) issues. After a buyer’s inspection, we create a punch list of house and property items that need attention, letting you know where your home’s health truly stands. If you haven’t yet purchased the property, a buyer’s inspection is a very useful tool for getting an in depth understanding of the prospective property. If you have already purchased, you will know what needs to be fixed and how urgent each fix is. Renegotiate the price. With this option, the buyer can hire their own professionals to do the work, and they can oversee the whole project after they own the house. This is a common approach, but it’s not always a practical approach because it doesn’t leave the new home buyers with any cash to pay for repairs. Cancel the purchase agreement. This typically happens when the buyer decides there are too many issues with the house, or the issues are greater than what the buyer wants to deal with or when buyers and sellers can’t come to an agreement. Ask the seller to perform repairs. This may not be the best option. If a seller has performed work at their home and it was done wrong, why would they get it right the second time? When a buyer asks a seller to repair things, they are basically making the seller the general contractor for their new home. The seller has no motivation to hire high quality work. In fact, they have a financial incentive to hire the cheapest person in town. The work will often be performed incorrectly, or the work will be sub-par and the materials will be the cheapest possible. Maybe both. It’s a frustrating situation for buyers when I go out to verify repairs the day before closing and none of the repairs are right. What happens now? If the seller is going to be responsible for repairs, language should be included in the purchase agreement that requires licensed contractors to do the work, permits pulled and inspected by the authority having jurisdiction (the city), and proof of both given to the buyer well in advance of the closing date. Just about anything related to plumbing, electrical, or HVAC requires a permit, and a lot of work performed by carpenters requires a permit. If a project is too small to require a permit, should it really be included in the negotiations? Do nothing. This is often the best option for buyers. When buying a used home, buyers shouldn’t expect everything to be perfect, because it never is. Walls get damaged, showers leak, appliances fail without notice. This doesn’t mean buyers shouldn’t address defects after they’ve bought the house, but it’s unrealistic to expect sellers of used houses to fix every little defect. Asking sellers to address a long list of minor repairs will make the seller feel defensive about their home and make the buyers look petty.